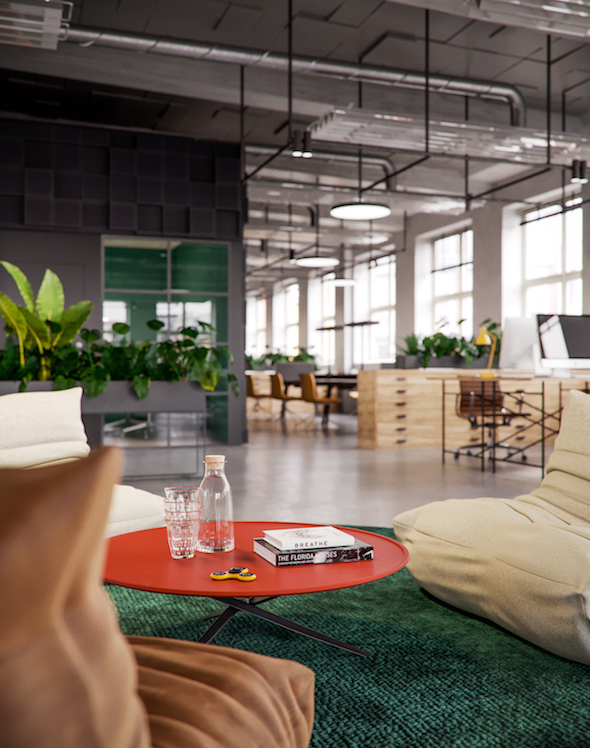 Virtual Reality provides freedom to look around a building being designed and experience the space remotely, without being physically present there. 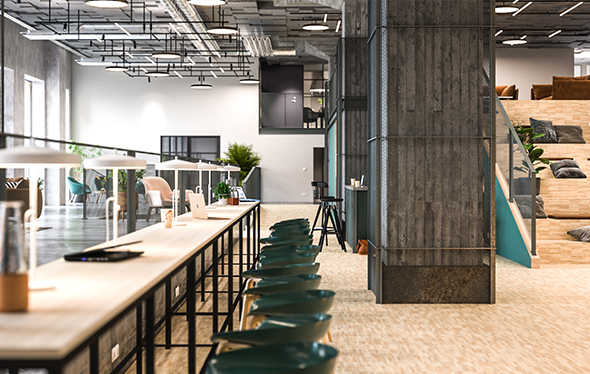 In this project we were given freedom to fully design the workspace - a conscious environment with different flexible working areas and a large welcoming atrium. We made sure the concept fully suited our client's needs and came up with innovative ideas for furniture fit-out and floorplan layout. We have put special emphasis on making the VR as realistic as possible and easy to use for the client.